Megan Woodard Johnson earned a BFA in graphic design and traditional printmaking from Shepherd University in 1996, and a continued love of both inform her current mixed media work. For the past ten years, she has built a studio practice and steadily created work shown in midwestern juried shows and art events. 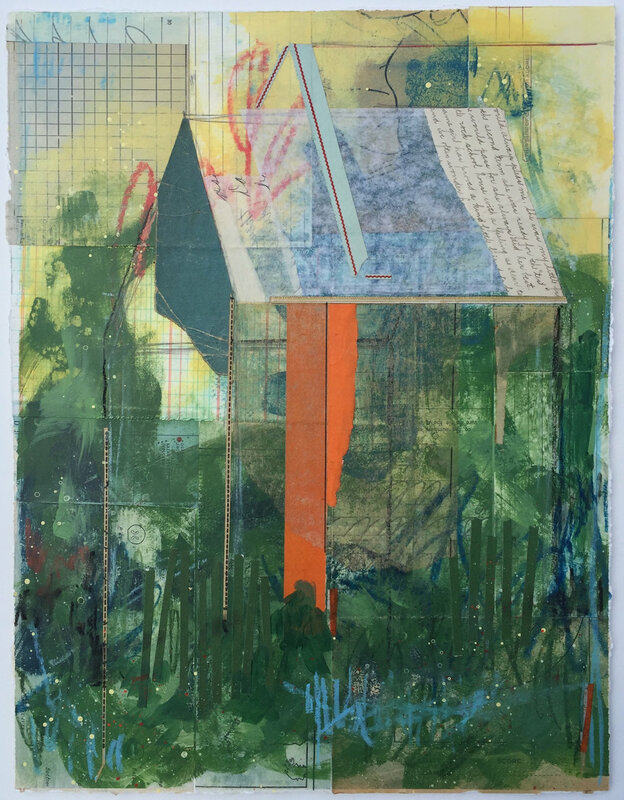 Her mixed media approach illustrates how an accumulation of moments defines a total experience. The materials used carry the stories of learning, recording, and processing: vintage school books, ledgers, hand-written correspondence. The materials themselves each have a life and history, which is then woven into the stories Johnson tells by adding expressive layers of paint and drawing media. Her recent work examines the notion of creating private spaces; places, both literal and imagined, that provide a sense of refuge. She is interested in how the creation of a personal space must be unique to each individual, while at the same time the experience of having or claiming these spaces is almost completely universal.